Tim Meijers is a postdoctoral researcher on the Fair Limits project at Utrecht University. He also holds an assistant professorship at Leiden University, where he teaches moral and political philosophy. He has written his PhD-thesis, Justice in Procreation, at the University of Louvain’s Hoover Chair. During his PhD he has been an academic visitor at the universities of Oxford, Aarhus and Utrecht. 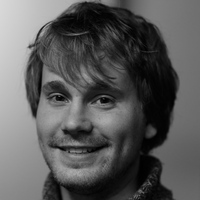 Tim has an interdisciplinary background, having an MA in Philosophy (Leiden) and an MSc in Political Science (UvA). He is interested in questions of intergenerational justice, global justice, procreative rights, egalitarianism, justice and the family and the moral justification of punishment In the Fair Limits project he looks into the agent of justice debate: who, particularly in non-ideal circumstances, is responsible for realizing the demands of justice? He has papers (forthcoming) in venues like Canadian Journal of Philosophy, Critical Review of International Social and Political Philosophy, Ethics & International Affairs, The Oxford Research Encyclopedia of Politics, Human Rights Quarterly and The International Journal of Transitional Justice.